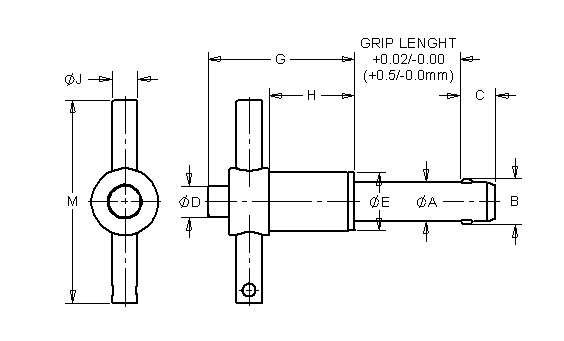 Kwik-LokTM Pins are manufactured in a wide range of sizes to meet any application. We offer short lead times for special sizes or features. Available in 5 handle styles, inch or metric sizes. Our T-Handle configuration provides a firm, even grip for smooth comfortable operation. Handle is black cast aluminum. Button is blue anodized aluminum. 2D, 3D, 3D solid model drawings available for download. Contact customer service for other special sizes & materials.